The firm Jessup & Associates, P.A., CPA was opened in 1999 and is conveniently located in North Wilmington, at 1818 Foulk Road. Coupled with personalized attention to detail and a single-minded philosophy of quality client satisfaction, Jessup & Associates, P.A., CPA, employs professionals with more that 30 years experience to give the personal attention that only a small firm can provide. The firm offers year-round accounting and tax services for individuals and businesses, tax planning and projections, assistance with taxing authorities, and preparation of financial reports. Our clients come back to us year after year because they know they are in good hands. We work to develop long-term relationships. Our mission is to help clients maintain financial viability in the present, while taking a proactive approach to achieve future goals. This requires open communication to reach an understanding of our clients' needs through research and sound analysis. Jessup & Associates, P.A., CPA is dedicated to meeting these goals with high standards of excellence and professionalism. We have been a staple of Wilmington's business community for years, and pride ourselves on the level of esteem we have earned. Our dedication to hard work has earned the respect of the business and financial community in and around Wilmington. We believe this to be a direct derivative of our talent and responsiveness to our client base. Whether you are a current or prospective client, rest assured that individuals and businesses who choose Jessup & Associates, P.A., CPA receive competent and timely service. 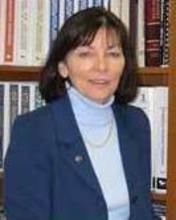 Susanna C. Jessup, founder of Jessup & Associates, P.A., CPA, has 20 years experience in public accounting. She graduated with high honors from Delaware Technical and Community College in 1988 and received her certification in 1992. Ms. Jessup specializes in small business consulting as well as tax preparation and planning for individuals and businesses.